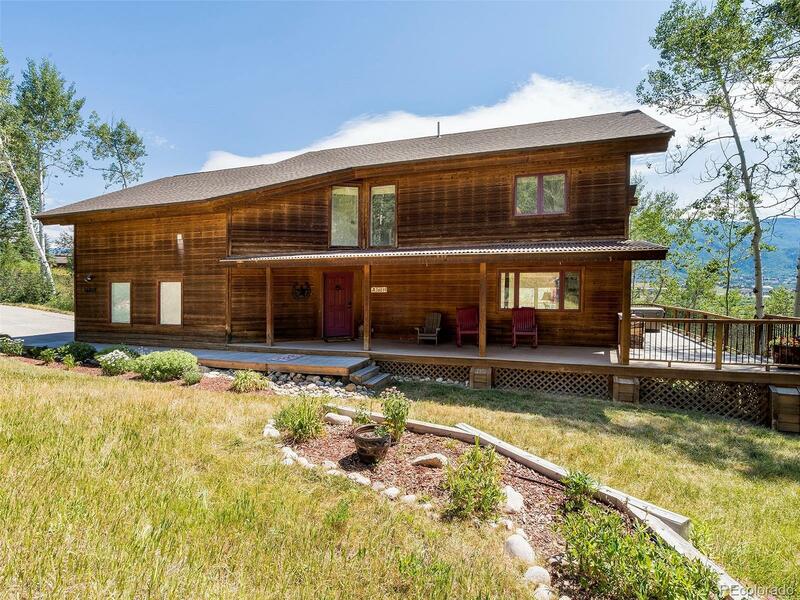 In the heart of the Tree Haus neighborhood of Steamboat Springs and overlooking the valley below rests this incredible home on three levels. The most striking feature of the property is the expansive, wrap-around deck shaded by mature landscaping but with a direct view of the ski area. The morning light that shines upon this home is utterly amazing. Room for plenty of comfortable seating and a large hot tub complete the outdoor space. The main level has a tiered floorplan which gives designated separation between the kitchen, dining and living rooms while a lofted ceiling creates an element of grandeur. Picture windows on all sides of the home open the path for incredible natural light. A true wood-burning fireplace adds an authentic element of warmth to the home and serves as the focal point of the main living room. A downstairs family room provides yet another place to gather and unwind with a walkout patio and adjacent bedroom & bathroom.